Last week, I compared the growth of VR vs. the iPhone 1 and the results were ridiculously promising. As I see it, Virtual Reality is poised to revolutionize* every single industry and I’m not the only one that realizes this. Many companies are leveraging VR to gain a competitive advantage and strengthen their relationships with consumers. With competition splurging on advertising to steal your customers, you have very few chances to strengthen your relationship with your clients. VR allows you to establish dominance and forward thinking in your space (since you’re first to use VR in your industry). 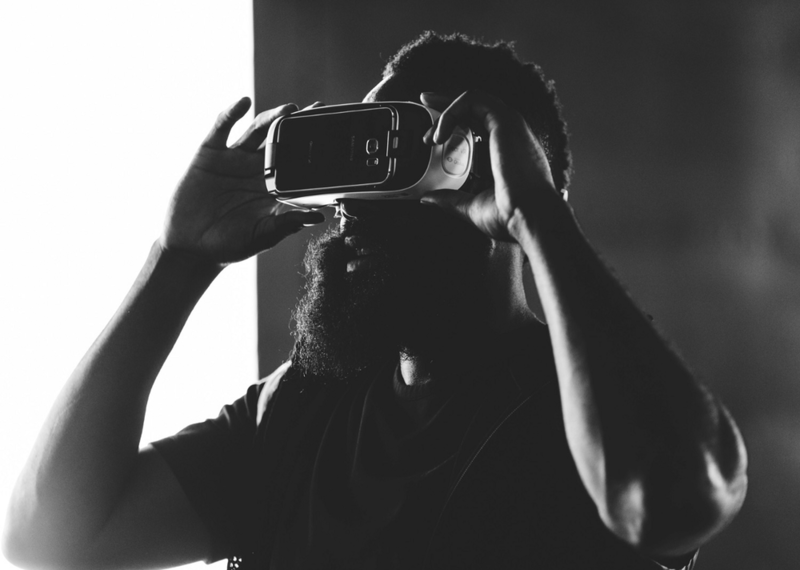 With VR experiences, you can tell your brand story like never before: you control the visual and audio cues to make clients feel the way you want without any interruptions from distractions like Facebook and WhatsApp. Moreover, brand is the strongest differentiator you can have for your business. Without it you’re competing on price and features alone (competitors can almost always make cheaper products or have more features than you). When you build a strong brand (like Apple), customers are significantly more loyal to you. This is becoming an absolute must for large brands as competitors continue to join the VR trend (which will eventually become the norm). Though increasing sales by driving O2O is the most “obvious” benefit, execution of campaigns can be tricky. The most successful events I saw throughout the year were marketing campaigns that leveraged VR with limited time events (like the Rio Olympics and Home Run Derby) to drive online-to-offline traffic and in-store purchases. At events like these, especially when you try VR for the first time, your brain releases dopamine, making you feel happy then primed for making purchases. For high ticket items, like homes, cars and planes, the investment on headsets and app development pays for itself with a single product purchase from a customer. To be fair, this is a common issue for many buildings because designers/architects are designing a 3D space on a 2D floor plan. With VR, designers are able to see and walk around the homes before construction starts and make any last minute changes quickly with no cost. Similar parallels can be drawn with multiple industries including aeronautics, architectural and automotive firms. If training translated to a (conservative) 5% increase in productivity, that means 100 more hours of work is done per year. For skilled workers**, this translates to a $2,300 increase in productivity per year. Training employees is one of the cheapest ways to maximize employee output. The most interesting app I saw in this space was a sales training application for one of our telecom clients. Customer Service Representatives can put on a headset and rehearse answering commonly asked customer questions to build confidence before their first sale. One major lesson I learned in 2016 was on how planes are sold. Multiple types of planes (from all around the world) are flown into a single airport. The buyers choose which planes they want to buy and then the planes are flown back to where they came from. VR let’s buyers navigate inside of an airplane to view features of an aircraft before the airport meeting. This allows buyers to reduce the number of planes to be flown in resulting in a major reduction in fuel costs, pilot fees, etc (and reducing global warming). I predict this trend continuing for many types of large product sales (e.g. military vehicles, ships, home purchases, etc). Technically this goes under asset AND liabilities but another major lesson I learned in 2016 was how VR helps real estate developers. For large projects, construction costs are initially paid with investor money. Before a building is built, investors are flown to the building site to see a mock unit of a development project and convinced to back it (i.e. a Kickstarter for building construction). When investors are unable to view the building site in person, a VR experience (and device) is sent to the potential investor to view. Using VR for investment dollars works for any project that requires a significant amount of money to manufacture. The investment made on headsets and app development pay for itself with a single, multi-million dollar cheque. Note: I wouldn’t be surprised if Kickstarter (and clones) started supporting VR demos of products users want to build (you heard it here first!). *To SF: I apologize for using the word “revolutionize” (it was either that or “disrupt”). I love working with innovative companies and seeing the world class experiences they’re building. Last year has been incredibly insightful for me as I got to see where the money was being spent in VR. Although, I keep hearing that there’s no money in VR, I can see a very green side to the story. If you are working on or have commissioned a VR development project, I’d love to hear which of these advantages you’re capitalizing on!